Working time is a crucial issue for both research and public policy. 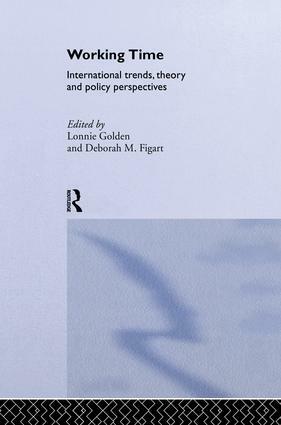 This book presents the first comprehensive analysis of both paid and unpaid work time, integrating a unique discussion of overwork, underwork, shortening of the working week, and flexible work practices. Time at work is affected by a complex web of evolving culture and social relations, as well as market, technological, and macroeconomic forces, and institutions such as collective bargaining and government policy. Using a variety of new data sources, the authors review the latest trends on working time in numerous countries. Lonnie Golden is Associate Professor of Economics at Pennsylvania State University. Deborah M. Figart is Professor of Economics at The Richard Stockton College of New Jersey.